Mueller Sought Emails of Trump Campaign Data Firm But Google Is Next!!! The special counsel's request, which the firm complied with, wasn’t previously known. The emails had earlier been turned over to the House Intelligence Committee, the people said, adding that both requests were voluntary. 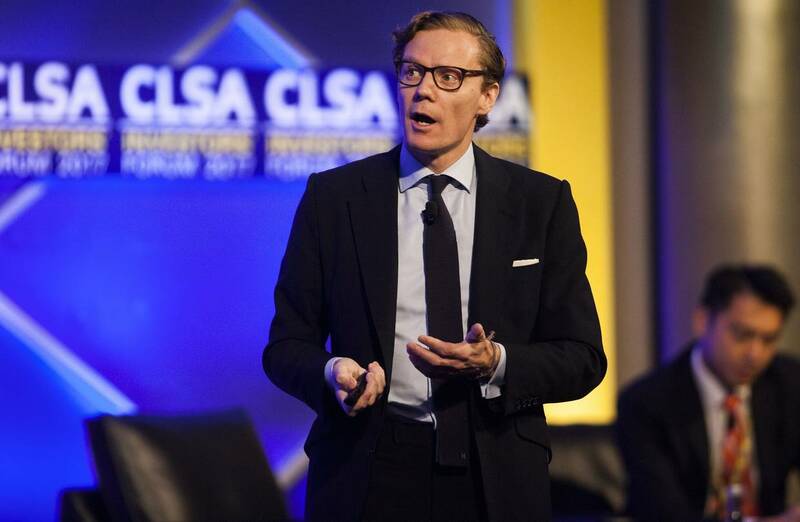 On Thursday, Cambridge Analytica Chief Executive Alexander Nix interviewed via videoconference with the House Intelligence Committee, according to a person familiar with the matter. Mr. Mueller’s request for employee emails was made before media outlets reported in October that Mr. Nix had contacted WikiLeaks co-founder Julian Assange during the 2016 campaign, according to a person familiar with the matter. The Sweden-based WikiLeaks last year published a trove of Hillary Clinton -related emails that U.S. intelligence agencies later determined had been stolen by Russian intelligence and given to the website. The special counsel declined to comment. A spokesman for Cambridge Analytica didn’t immediately return a request to comment. The House committee earlier this fall referred questions about its document request to the data firm. Cambridge Analytica at the time confirmed the House request and said the firm wasn’t under investigation for its activities in the 2016 campaign. Mr. Mueller’s team and congressional investigators are probing whether Trump associates colluded in a Russian effort to interfere in the 2016 U.S. election. Mr. Trump has denied collusion by him or his campaign, and Moscow has denied meddling in the election. The U.S. intelligence community in January concluded that Russia had sought to influence the election. Mr. Nix, in a Lisbon speech in November, said he had asked the office that handles his speaking engagements to contact Mr. Assange in “early June 2016,” after reading a newspaper report that WikiLeaks planned to publish the Clinton-related emails. He asked if Mr. Assange “might share that information with us.” Mr. Assange has said he declined the request. Mr. Nix’s outreach to WikiLeaks came at the same time as his firm started working for Mr. Trump’s campaign, The Wall Street Journal has reported. Rep. Adam Schiff (D., Calif.), the top Democrat on the House Intelligence Committee, told the Journal earlier this year that ties between Cambridge Analytica and WikiLeaks were of “deep interest” to the committee. The House panel also asked Cambridge Analytica to preserve its data on Trump voters and supporters, but it hasn’t asked that the firm turn the data over, according to a person familiar with the matter. Two months after Mr. Nix directed his speaker’s bureau to contact Mr. Assange, top Trump donor Rebekah Mercer asked him whether Cambridge Analytica could help better organize the emails WikiLeaks was releasing, the Journal has reported. Ms. Mercer and her father, hedge-fund billionaire Robert Mercer, are part owners of Cambridge Analytica. Ms. Mercer and Mr. Nix haven’t commented on the matter. During the campaign, Cambridge Analytica provided data, polling and research services to the campaign. Steve Bannon had introduced Mr. Nix to the campaign in mid-May. Mr. Bannon became the campaign’s chief executive officer in August 2016 and later joined the White House as a top strategist. He left the administration in August of this year. —Julie Bykowicz contributed to this article.